Jonathan Olson topped a field of 368 runners to claim a $95,741 first-place prize here at Mid-States Poker Tour Meskwaki in Tama, Iowa. 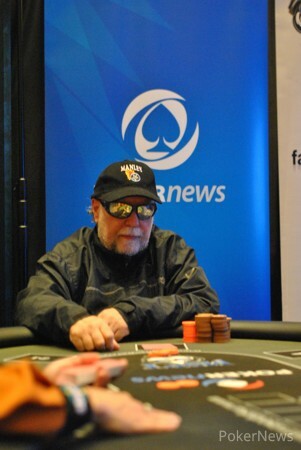 The Iowa resident and MSPT first-timer defended his home turf, triumphing over Mike Holm after about a two-hour heads-up match that saw Holm display classic "alligator blood," tenaciously hanging on with a shorter stack for multiple all ins before capitulating. Holm earned $53,188 for second. A total of 71 players came into Day 2 hopeful for the title, but about half left the room without being paid a cent for their tournament efforts. That number included Jason Seitz, Grant Hinkle, Adam Zych, Ryan Hohenstein, Tom Hammers, and Scott Mahin. The bubble burst at the conclusion of Level 18. Matthew Alexander, Gennady Shimelfarb, Steve Belland, Phil Mader, and Brandon "norajean" Meyers were among those getting paid after busting in the money. Also, Kou Vang was able to score a small cash, ensuring he will come out of the tournament in first place on the MSPT Player of the Year leaderboard. Olson came into the day with a mediocre stack of 65,000, good for just over 20 big blinds. He won a key flip relatively early on with against the of Stan Webb and was able to build his stack to the point where he went into the final table third in chips with just over 1 million. 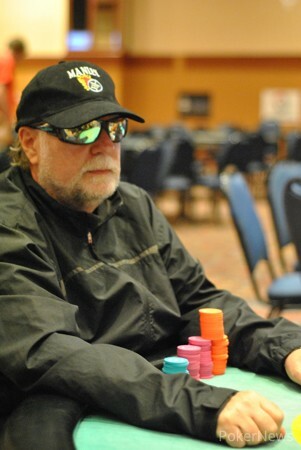 Joe Matheson was the first final table participant to fall, the victim of a slowplay that allowed former MSPT champion David Gonia to overtake him on the turn. Matthew McGrory busted next in ninth, followed by heavy hitter Lance Harris in eighth. Harris' fellow Minnesotan Adam Dahlin went down in seventh after his kings were outdrawn on the river by the of Olson. Chance Langeness and Frank Huschle were the next two to go in sixth and fifth, respectively. Gonia entered the day with the top stack, and he used it well, continuing to accumulate chips throughout the grind. Unfortunately for Gonia, all of his hard work came undone in a dizzying three-hand spiral that saw him go from top contender to fourth-place finisher in the span of a few minutes. Play slowed considerably three-handed, but former chip-leader Chance Lautner ultimately fell in third when he jammed over a raise from Olson with and was called. Ace-king was again the ticket for Olson, this time , as the board came , giving him the knockout and allowing him to advance to heads-up play with a lead of about 4.4 million to 3 million. 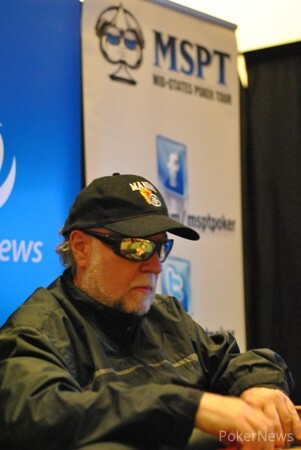 Thanks for tuning in to PokerNews' coverage of another great MSPT event. Be sure to come back next week for another tour stop at Majestic Star Casino. Jonathan Olson raised to 300,000 on the button and got shoved on for 1.03 million by Mike Holm. Olson thought for a bit before opting to call. Equities were close, but it looked great for Holm to double when the door card was reveal: . Unfortunately for him, it was followed by a and . The turn was the , giving Olson two pair. Not quite, since he now had a flush draw. A ten would do it for him as well, but it was Olson improving to a boat on the river. The players shook hands to conclude the match. Jonathan Olson opened to 240,000 and got repopped to 550,000 by Mike Holm. Olson leaned back in his seat and shoved all in. Holm tanked for a bit before declaring he was making a nitty fold and mucking . Olson showed . Players are now on break. Mike Holm doubled once more. Mike Holm called a preflop raise and checked a flop. Jonathan Olson bet 350,000, and Holm moved in for about 1 million more. Olson got out of his seat and tried to work out Holm's hand. "I think you would have repopped me with ace-ten or ace-nine," he said. "Queen-jack? Ace-eight, ace-seven, ace-six? Those make sense..."
Olson needed help, as his opponent had flopped bottom two. He didn't get it on the turn or river. While the last hand was being recorded, Mike Holm barely avoided going broke as he called a river raise to 600,000 on a board of . Jonathan Olson showed for a boat, and Holm flipped for a flopped straight. Holm got most of the chips back by shoving over a flop bet the next hand. Mike Holm limped in, and Jonathan Olson raised to 450,000. Holm shoved all in, and Olson called. Holm had slowplayed his big pair, and he was in good shape to double. The flop came , giving Olson a straight draw. "Gotta make it exciting," Olson said. The turn and river were bricks though: and . 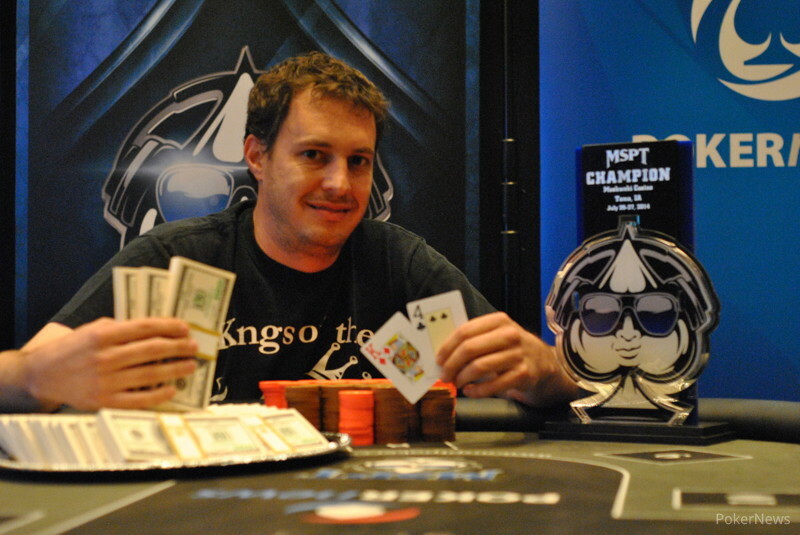 Jonathan Olson has regained command of the heads-up match by taking a few medium-sized pots without showdown. Jonathan Olson raised to 200,000 and Mike Holm defended. Holm bet out 200,000 on the flop and turn and was called both times as the board came . Both players checked the river, and Olson announced ace-queen. Holm showed . "Ace-queen is not the hand for me today," Olson said.